Despite the terrible things often said about the breed, Pitbulls are fantastic dogs, who make great pets for most families. 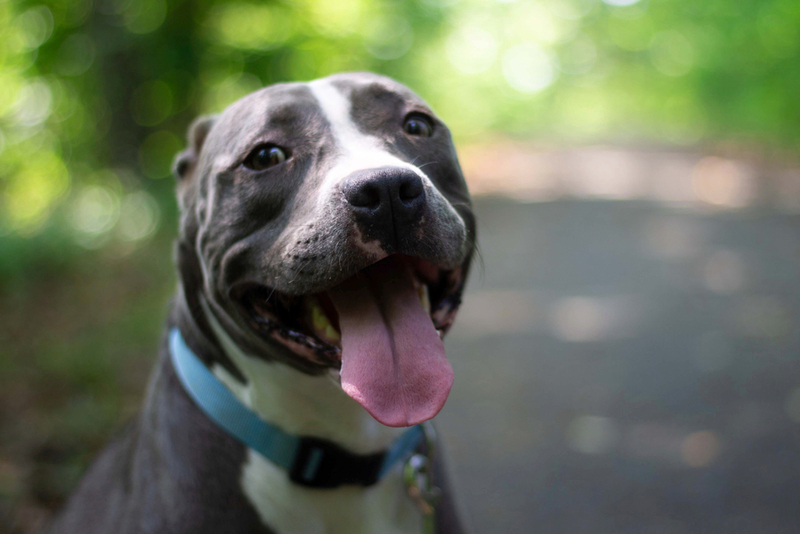 As a Pit Bull owner, you undoubtedly already know this and want to make sure you take care of your family member in the most effective possible manner. This means, among other things, feeding your Pit Bull a nutritious, tasty and complete dog food. But you don’t just want to pick any dry food, you want to pick a formula that addresses the specific biology and needs of the breed. We’ll help you do exactly this below. We’ll start by recommending the best dog food for Pitbulls on the market (in case you’re just looking for a quick answer), but we’ll also discuss the health challenges and idiosyncrasies of the breed that should influence your choice of foods, as well as the basic things you’ll want to seek out in any dog food brand. 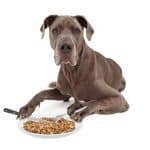 There are a number of good dog food brands on the market, but the following five are among the best dog foods for Pitbulls. Just be sure to review each recipe carefully, so that you can arrive at the best choice for your pet. Taste of the Wild is a high-quality pitbull dog food brand that is designed to mimic the diet of your dog’s wild ancestors. A grain-free recipe, this food is made with premium proteins, nutritious carbohydrates, antioxidant-rich fruits and vegetables. It is also fortified with three different probiotic strains, to help ensure proper digestion. Ingredients: Buffalo, lamb meal, sweet potatoes, egg product, pea protein, peas, potatoes, canola oil, tomato pomace, roasted bison, roasted venison, beef, flaxseed, potato fiber, natural flavor, ocean fish meal, salmon oil (a source of DHA), salt, choline chloride, dried chicory root, Yucca schidigera extract, tomatoes, blueberries, raspberries, dried Lactobacillus acidophilus fermentation product, dried Bifidobacterium animalis fermentation product, dried Lactobacillus reuteri fermentation product, vitamin E supplement, iron proteinate, zinc proteinate, copper proteinate, ferrous sulfate, zinc sulfate, copper sulfate, potassium iodide, thiamine mononitrate (vitamin B1), manganese proteinate, manganous oxide, ascorbic acid, vitamin A supplement, biotin, niacin, calcium pantothenate, manganese sulfate, sodium selenite, pyridoxine hydrochloride (vitamin B6), vitamin B12 supplement, riboflavin (vitamin B2), vitamin D supplement, folic acid. Owner Reviews: Most dog owners report being very satisfied with Taste of the Wild, and many become long-term devotees to the brand. Several mentioned improved skin and coat condition after switching to this recipe and a few even noted improved elimination habits and increased energy levels. 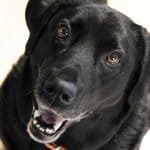 But in addition to these tangible benefits, many owners simply appreciated the chance to feed their dog a biologically appropriate diet for their pet. Taste of the Wild is made with the types of proteins wild canines consume, and it also provides the types of fruits (primarily colorful berries) that wolves and prehistoric dogs likely included in their diets. Dogs, for their part, appear to love the way the recipe tastes. Given the impressive collection of proteins included in the formula, this is hardly surprising. Bottom Line: Regular Canine Weekly readers may have noticed that we frequently recommend Taste of the Wild for a variety of dogs, and there’s a good reason we do: It is simply one of the finest dog food brands on the market for most canines (especially pitbulls and other big breeds). It satisfies almost all the criteria you’d want in a pit bull dog food, and it is reasonably priced for the quality of the product. It also includes a number of specific things that may benefit your pit bull, including the use of sweet potatoes and peas, rather than grains, and a relatively high protein content to ensure your pit bull can build strong, healthy muscles. Blue Buffalo manufacturers a number of very nutritious foods, and they have recipes designed to suit a variety of different dogs. We’d recommend their Life Protection Formula Lamb and Brown Rice Recipe for Pitbulls, as neither lamb nor brown rice is likely to trigger food allergies, which are frequently a problem for Pitbulls. Ingredients: Deboned Lamb, Menhaden Fish Meal (Source of Omega 3 Fatty Acids), Brown Rice, Oatmeal, Barley, Pea Starch, Peas, Chicken Fat (Preserved with Mixed Tocopherols), Natural Flavor, Flaxseed (Source of Omega 6 Fatty Acids), Dried Tomato Pomace, Lamb Meal, Pea Protein, Dehydrated Alfalfa Meal, Potatoes, Dried Chicory Root, Pea Fiber, Alfalfa Nutrient Concentrate, Potassium Chloride, Choline Chloride, Calcium Carbonate, Salt, Dl-Methionine, Preserved with Mixed Tocopherols, Sweet Potatoes, Carrots, Garlic, Zinc Amino Acid Chelate, Zinc Sulfate, Vegetable Juice For Color, Glucosamine Hydrochloride, Ferrous Sulfate, Vitamin E Supplement, Iron Amino Acid Chelate, Blueberries, Cranberries, Barley Grass, Parsley, Yucca schidigera Extract, Dried Kelp, Turmeric, L-Carnitine, Niacin (Vitamin B3), Calcium Pantothenate (Vitamin B5), L-Ascorbyl-2-Polyphosphate (Source of Vitamin C), L-Lysine, Copper Sulfate, Biotin (Vitamin B7), Vitamin A Supplement, Copper Amino Acid Chelate, Manganese Sulfate, Taurine, Manganese Amino Acid Chelate, Thiamine Mononitrate (Vitamin B1), Riboflavin (Vitamin B2), Vitamin D3 Supplement, Vitamin B12 Supplement, Pyridoxine Hydrochloride (Vitamin B6), Calcium Iodate, Dried Yeast, Dried Enterococcus faecium Fermentation Product, Dried Lactobacillus acidophilus Fermentation Product, Dried Aspergillus niger Fermentation Extract, Dried Trichoderma longibrachiatum Fermentation Extract, Dried Bacillus subtilis Fermentation Extract, Folic Acid (Vitamin B9), Sodium Selenite, Oil of Rosemary. Owner Reviews: Blue Buffalo is one of the best-reviewed dog food brands on the market, and the vast majority of owners rave about these foods. Many dog owners report improvements in elimination habits (likely due to the inclusion of five different probiotic strains), and a large number of owners noted improvements in skin and coat health too. Most dogs seem to love the way Blue Buffalo’s lamb recipe tastes, and many owners reported the apparent reduction in their dog’s hip and joint pain after feeding this food to their pet for several weeks. This is likely due to the inclusion of glucosamine, as well as the food’s rich omega-3 fatty acid content (which helps to reduce inflammation). Bottom Line: Just about any Pit Bull would benefit from eating Blue Buffalo Lamb and Brown Rice Recipe. It has all of the things you’d want in a good food for Pitbulls, including glucosamine, which may help reduce the symptoms associated with hip and elbow dysplasia and omega-3 fatty acids, which will improve skin health. However, it is likely most valuable for Pitbulls who often struggle with intestinal issues, as this is a very easy food for dogs to digest, thanks to its reliance on brown rice as the primary carbohydrate. Note that this is not a grain-free recipe. 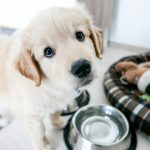 That is not necessarily a problem (most dogs — including pit bulls — will digest grains without problem), but if you would prefer a grain-free formula (or you know your dog is allergic to rice, barley or oatmeal), you may want to opt for one of the grain-free products, such as Blue Wilderness, instead. Wellness CORE Grain-Free Dog Food is another fantastic dog food for Pitbulls. Made without grains, fortified with three probiotic strains, and stuffed with antioxidant-rich fruits and vegetables, it is easily one of the finest foods on the market, and it should make an excellent choice for most Pitbulls. ​​​​Ingredients: Deboned Turkey, Turkey Meal, Chicken Meal, Peas, Potatoes, Dried Ground Potatoes, Chicken Fat (preserved with Mixed Tocopherols), Tomato Pomace, Chicken Liver, Natural Chicken Flavor, Flaxseed, Salmon Oil, Carrots, Sweet Potatoes, Kale, Broccoli, Spinach, Parsley, Apples, Blueberries, Vitamins [Vitamin E Supplement, Beta-Carotene, Niacin, d-Calcium Pantothenate, Vitamin A Supplement, Riboflavin, Vitamin D-3 Supplement, Vitamin B-12 Supplement, Pyridoxine Hydrochloride, Thiamine Mononitrate, Ascorbic Acid (Vitamin C), Biotin, Folic Acid], Minerals [Zinc Proteinate, Zinc Sulfate, Iron Proteinate, Ferrous Sulfate, Copper Sulfate, Copper Proteinate, Manganese Proteinate, Manganese Sulfate, Sodium Selenite, Calcium Iodate], Choline Chloride, Mixed Tocopherols added to preserve freshness, Glucosamine Hydrochloride, Chondroitin Sulfate, Taurine, Chicory Root Extract, Yucca schidigera Extract, Dried Lactobacillus plantarum Fermentation Product, Dried Enterococcus faecium Fermentation Product, Dried Lactobacillus casei Fermentation Product, Dried Lactobacillus acidophilus Fermentation Product, Rosemary Extract. Owner Reviews: Most dog owners were very pleased with Wellness CORE. Several mentioned drastic improvements in coat health, and a few mentioned that their dog’s energy level improved once they began eating this food. A few owners noted that their dogs produced less waste after switching to Wellness CORE, and others noted a reduction in gas. This is likely due to the relatively modest nutritional fiber content of the food and the use of potatoes, rather than grains, as the primary carbohydrate source. On the other hand, a few owners did note minor digestive issues after feeding their dog Wellness CORE, but that can occur anytime you switch dog foods, and it usually resolves quickly. Just be sure to transition your dog’s diet slowly, and you can reduce the likelihood of these types of problems occurring. Bottom Line: Wellness CORE is one of the best Pitbull foods available, and it has a number of features that are especially helpful for the breed. For example, it has more protein than many other dog foods, and it is formulated with both chondroitin and glucosamine to help support joint health. And, because it is made without grains, it may help support skin and coat health. Wellness CORE is more expensive than many other dog foods, but as with any other consumer product, you usually get what you pay for – and in the case of Wellness CORE, this means premium-quality grain free dry dog food. CANIDAE PURE LID Diet is a premium dog food made with a limited number of ingredients. This makes it a great food for Pitbulls suffering from skin and coat problems, but it’s also a good choice for dogs that don’t suffer from these types of problems, given the quality of the ingredients used in the recipe. Owner Reviews: Most dog owners were quite pleased with CANIDAE PURE LID. Several reported that it helped alleviate their dog’s problems with itchy skin, and a few even noted improved digestion and elimination habits after making the switch — likely due to the impressive collection of probiotic strains present in the food. Most dogs seemed to love the taste, which isn’t surprising, as many dogs tend to relish lamb. Conversely, a few dogs experienced intestinal upset after trying this food, but this seemed to be the exception, rather than the rule. Such problems can likely be limited by transitioning your dog’s diet slowly (scroll down to see the recommended transition protocol). Bottom Line: CANIDAE PURE LID is a great dry dog food for Pit Bull owners who’d like to reduce their pet’s problems with itchy skin or food allergies. The recipe is not only free of corn, wheat and other grains, but it has a relatively simple ingredient list, which helps to eliminate potential allergic triggers from your dog’s diet. However, this also means that some of the nutrients found in other foods are lacking in CANIDAE PURE LID. For example, owners seeking a food full of antioxidant-rich fruits and vegetables may want to look for a different product, as this recipe lacks things like carrots, leafy greens and colorful fruits. Blue Wilderness with Chicken is based on the evolutionary diet of wild-living canines, so it is made with plenty of nutritious proteins and things like peas and tapioca, rather than grains. Also, like many other Blue Buffalo products (Blue Wilderness is manufactured by the same company that Blue Buffalo is), it contains LifeSource Bits, which provide antioxidants, vitamins and minerals. Ingredients: Deboned Chicken, Chicken Meal (source of Glucosamine), Peas, Pea Protein, Tapioca Starch, Menhaden Fish Meal (source of Omega 3 Fatty Acids), Dried Tomato Pomace, Chicken Fat (preserved with Mixed Tocopherols), Flaxseed (source of Omega 6 Fatty Acids), Pea Starch, Natural Flavor, Dried Egg, Dehydrated Alfalfa Meal, DL-Methionine, Dried Chicory Root, Potatoes, Pea Fiber, Calcium Carbonate, Choline Chloride, Caramel Color, Salt, Potassium Chloride, Sweet Potatoes, Carrots, preserved with Mixed Tocopherols, Zinc Amino Acid Chelate, Zinc Sulfate, Ferrous Sulfate, Vitamin E Supplement, Iron Amino Acid Chelate, Blueberries, Cranberries, Barley Grass, Parsley, Yucca Schidigera Extract, Dried Kelp, Turmeric, Nicotinic Acid (Vitamin B3), Calcium Pantothenate (Vitamin B5), L-Ascorbyl-2-Polyphosphate (source of Vitamin C), L-Carnitine, L-Lysine, Copper Sulfate, Biotin (Vitamin B7), Vitamin A Supplement, Copper Amino Acid Chelate, Oil of Rosemary, Manganese Sulfate, Taurine, Manganese Amino Acid Chelate, Thiamine Mononitrate (Vitamin B1), Riboflavin (Vitamin B2), Vitamin D3 Supplement, Vitamin B12 Supplement, Pyridoxine Hydrochloride (Vitamin B6), Calcium Iodate, Dried Yeast, Dried Enterococcus faecium fermentation product, Dried Lactobacillus acidophilus fermentation product, Dried Aspergillus niger fermentation extract, Dried Trichoderma longibrachiatum fermentation extract, Dried Bacillus subtilis fermentation extract, Folic Acid (Vitamin B9), Sodium Selenite. Owner Reviews: The overwhelming majority of dog owners who tried out Blue Wilderness were very pleased with their choice. Many noted improvements in skin and coat health, and most dogs appear to love the way this recipe tastes. Additionally, Blue Wilderness appeared to help a lot of dogs enjoy more energy, and some owners noted that their dog seemed to get around better after making the switch. This may be due to the glucosamine and omega-3 fatty acids included in the formula, as these can help reduce the symptoms associated with joint problems (including the apparent lack of energy). A few dog owners noted digestive problems upon making the switch, so it is wise to make the transition slowly. Nevertheless, the majority of owners actually reported that their dog’s elimination habits improved after transitioning to this food. This is probably due to the food’s grain-free formulation. Bottom Line: There aren’t many things to complain about with Blue Wilderness with Chicken. It satisfies nearly all of the things most Pit Bull owners would want in a pet food, and it provides probiotics, glucosamine and more than one source of omega-3 fatty acids. But one of the most impressive things about Blue Wilderness (as well as Blue Buffalo’s other recipes) is the inclusion of their patented LifeSource Bits. These are tasty little bits of kibble included in the recipe, which are made from vitamin-, mineral-, and antioxidant-rich ingredients, that’ll support your Pitbull’s immune system. You will, however, have to pay for such a high-quality dog food, as Blue Wilderness with Chicken is a relatively expensive option. ‘Pit Bulls’, which we also describe to include the American Pit Bull Terrier, Staffordshire Bull Terrier, American Staffordshire Bull Terrier, and Bull Terrier, have a variety of physical traits and characteristics that should be considered when picking out their food. Accordingly, you’ll want to look for dog food for your Pit Bull that satisfies the following criteria whenever possible. Pitbulls are pretty susceptible to elbow and hip dysplasia – two conditions in which the joints don’t form properly. Dogs with either type of dysplasia will often suffer from a significant loss of joint cartilage, pain and reduced mobility. Fortunately, foods that are fortified with glucosamine or chondroitin can help repair some of the damage and prevent the loss of additional cartilage. As an added measure, you can use a standalone joint supplement containing glucosamine and chondroitin to help keep your pit bull feeling his best. In an effort to help make their pit bull look bigger and more muscular, many owners turn to “muscle-building” foods (we’ve reviewed them here), which claim to help add mass to your pet. Simply put, this is generally a bad idea and it won’t work anyway. 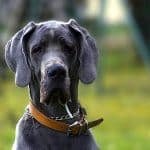 It is extraordinarily difficult to get a dog to build high levels of muscle mass, and it may even cause health problems. For example, these types of foods tend to have higher caloric values than typical foods. This can lead to weight gain and obesity – two problems Pitbulls are naturally predisposed too. Instead, just pick a food for your Pit Bull with a normal caloric value and get him plenty of exercise. Skin and coat problems are also extremely common in Pitbulls. Many experience itchy or dry skin, while others struggle with hair loss. And while these problems may require veterinary treatment if they become serious, one of the most effective first-line treatments involves increasing the amount of omega-3 fatty acids in your dog’s food. Omega-3 fatty acids help to prevent inflammation and they usually improve coat and skin health. Most of the high-end dog foods produced in the modern world contain omega-3-rich ingredients, such as salmon, trout or menhaden fish meal, and others simply fortify their foods with dog fish oils. Aside from omega-3 fatty acid deficiencies, food allergies are another leading cause of skin and coat problems in Pitbulls. Skin allergies usually start occurring in response to one (or rarely, more than one) protein in your pet’s food. The best way to treat them is usually through the use of an elimination-challenge diet, which helps to identify your dog’s allergic trigger. Then, you can simply select a dog food that doesn’t contain this ingredient. Accordingly, you’ll want to make sure that you have the most options available, should this need arise. And the best way to do this is by embracing a diet with a single protein source. Probiotics are beneficial bacteria that are incorporated into many high-quality dog foods. They often help improve the way your Pit Bull digests his food and improve elimination habits. They also often help reduce the likelihood that harmful bacteria will be able to colonize your dog’s digestive tract through competitive exclusion. There are a variety of probiotic strains used in different dog foods. Because veterinarians and researchers don’t yet understand which strains are most effective, many manufacturers incorporate several different strains. Note that if you find a food that is ideal for your Pit Bull, yet doesn’t contain several probiotic strains, you can use standalone dog probiotics to help support your dog’s digestive health. Pitbulls have a few unique requirements that you’ll want to be sure you address when feeding your pet. Whether you have a Pitbull puppy or adult, these will help ensure that your dog gets all of the nutrition and calories he needs, and it will also help avoid medical problems that may arise from improper feeding. Pitbulls are high-energy dogs, and you’ll need to make sure that your canine consumes enough calories on a daily basis to support an active lifestyle. Generally speaking, average-sized Pit Bulls require between 900 and 1800 calories of food each day. This obviously represents quite a range, so you’ll need to tailor the amount of food provided to your pet. You can do so in part by considering your dog’s size. Pit bulls typically weigh between about 40 and 70 pounds, so if you have a 65-pound pit bull, you’ll want to provide enough food to approach the 1800-calorie-level, while Pitbulls weighing only 45 pounds may only require 900 to 1,000. 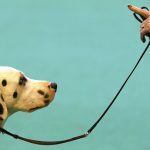 Additionally, you’ll have to factor in your dog’s typical activity level. Couch-potato dogs may become overweight if provided with too many calories, while active, working dogs will need plenty of calories to provide the energy they need. Ultimately, you’ll want to monitor your dog’s body condition to ensure he is obtaining a proper amount of calories. You can learn more about body condition score by reviewing this resource, provided by the Ohio State University Veterinary Medical Center. RELATED: How Many Times a Day Should I Feed My Dog? Caloric content is important, but it is not the only factor you’ll need to consider when selecting a dog food. You also need to select a dry dog food with a proper balance of macronutrients. Minimally, adult dogs require foods that have protein levels of at least 18%. However, because Pitbulls are typically active, muscular dogs, they’ll remain healthier if provided a diet that contains more than 30% protein. Adult dogs typically do best with foods containing 5.5% fat content. You don’t want to dip below this level, as it could cause health problems for your pet, but it is wise to avoid foods with drastically more fat than this, as pit bulls can be prone to obesity. Carbohydrates are incorporated into dog foods to help provide enough calories for your dog and ensure his energy levels remain consistent. In a perfect world, you would give your dog a food with as little carbohydrates as possible, but this would be cost prohibitive. You just need to make sure that you select a food that derives no more than 55% to 65% of its calories from carbohydrates. 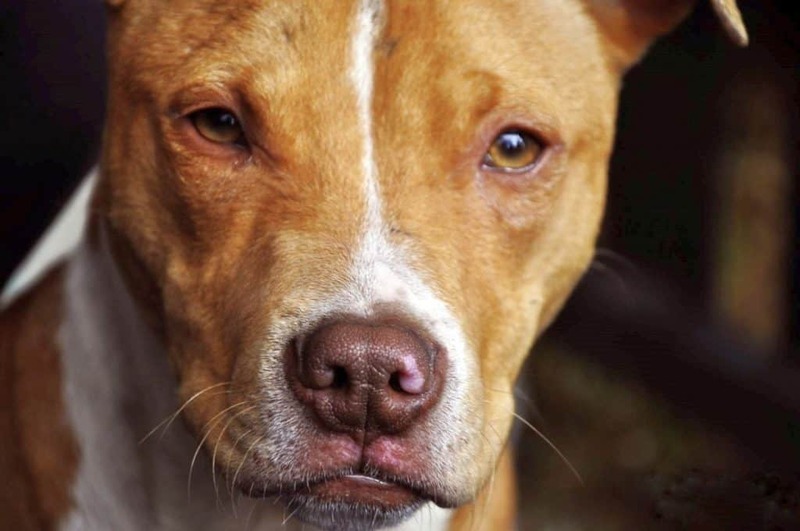 Pit bulls, like most other big, large-chested breeds, are susceptible to bloat — a potentially life-threatening condition in which a dog’s stomach fills with air and twists, thereby trapping the gas inside. Without emergency medical treatment, bloat is almost always fatal (and medical treatment isn’t always effective). Feed your dog several small meals, spread throughout the day, rather than one large meal. Minimally, you’ll want to split your dog’s daily food ration into two separate meals, but three is even better. Ensure that your dog rests for about 30 minutes after each meal before allowing him to run around in the back yard or taking him on a walk. His body needs time to digest his food, so be sure to provide him with this opportunity. Try to discourage your dog from gulping down his food without chewing. Look for foods made with relatively large kibble, which will often encourage your dog to chew more thoroughly. Consider using a specially designed food bowl that’ll make it more difficult for your dog to get the kibble in his mouth. This will help slow down the eating process and prevent him from swallowing as much air, which should reduce the chances of bloat. In addition to the things you’ll want to look when selecting the best dog food for Pitbulls, there are a few other things you’ll want to look for when feeding any dog. This way, you can be sure that you are giving your dog a nutritious food that’ll help keep your pet healthy and happy. Food safety is always a concern with any manufactured or prepared food (including the foods humans eat). And while there is no way to completely eliminate the possibility of purchasing tainted foods, you can do one very easy and very effective thing to reduce the chances of doing so: Stick to foods made in the USA, Canada, New Zealand, Australia or the countries of Western Europe. Foods made in these places have one thing in common: They’re subject to very strict quality and safety standards. This will help ensure that every bag of food you give your pup is healthy, tasty and safe. Dogs may be omnivores, but the bulk of their calories should always come from a nutritious protein. And while corn, rice and grains may be valuable ingredients to include in a dog’s diet, they don’t belong at the top of the ingredient list. This means you’ll want to look for meats like chicken, beef, pork, lamb, trout, duck or salmon as the first listed ingredient. Meat meals made from these (or similar) proteins can be valuable ingredients too, and they’re frequently included to increase the protein level of a food. However, it is generally preferable to look for foods that do not list one of these ingredients first. Antioxidants help support a number of biological processes and good health. There is a lot of evidence that they may help prevent some types of cancers, and they’re known to promote proper immune function. Accordingly, it is wise to select a dog food that contains plenty of antioxidant-rich ingredients. Ideally, your Pitbull’s dog food shouldn’t contain any unnecessary or unhelpful ingredients. This will simply reduce the likelihood of food intolerances (which will upset your dog’s digestive tract) or food allergies (which, as mentioned above, will affect your dog’s skin). Artificial colors, flavors and preservatives are perfect examples of ingredients that should be avoided. Ethical manufacturers improve the taste of their recipes by incorporating high-quality ingredients (and high-quality chefs). Artificial colors are added to make dog foods look more appetizing to people; Pitbulls would eat green food if it smelled good. And although preservatives can make kibble-based dog foods last longer, there are natural additives that can be used instead of artificial ones. Anytime you switch your dog’s food you want to do so gradually. Failing to do so may stress your dog’s digestive tract, leading to excess gas, diarrhea and abdominal pain. If at any time during the process, your pittie starts exhibiting digestive problems, slow down and incorporate less of the new food when making your dog’s breakfast or dinner. If this doesn’t resolve the issue, or your dog’s intestinal difficulties do not stop, contact your vet. There are certainly a number of excellent dog foods on the market, but the options listed above stand prominently as five of the best dog foods for Pitbull puppies and adults. Just be sure to select the food that best meets the needs of you and your dog, and don’t forget to make the switch to your dog’s new food gradually, to help avoid the digestive problems that can occur during rapid food transitions.